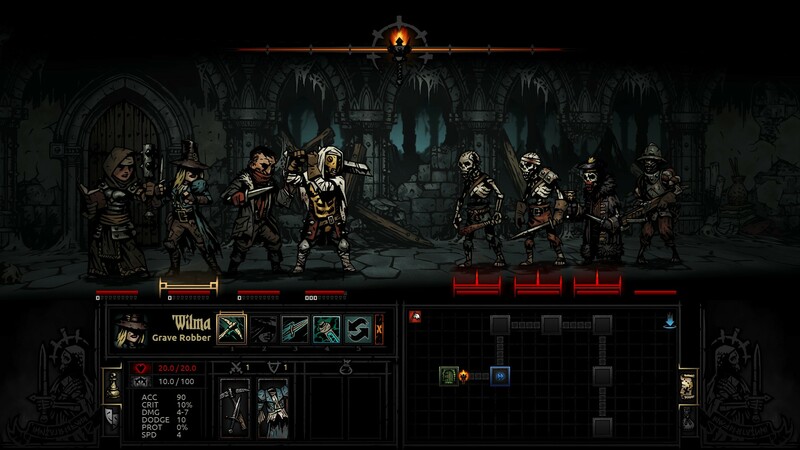 Darkest Dungeon is a single player role-playing game published and developed by Red Hook Studios. The plot of the game is that the player has inherited an estate from a relative who excavated catacombs and dungeon beneath his manor in search of wealth and fame and in doing so dug the portals to dark dimensions and released evil and horrific creatures onto the world. As the owner of the estate the player recruits the roster of heroes to lead expeditions to get rid of all the evil inhabitants of the estate. As the player gets deeper into the dungeons, the relative’s memoirs tell of the terrible deeds he had done in order to achieve knowledge and power. So now the player has to defeat the final boss to close the gates of dungeons and to discover the ultimate truth. 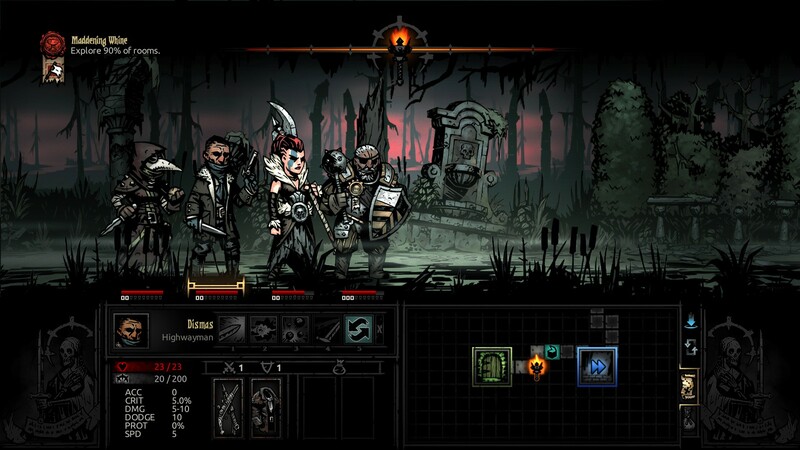 Before entering the dungeon, the player can go to the town near the estate and hire or dismiss the heroes, purchase items with the loot from the dungeon that will heal them, give them new powers and skills, buy or sell equipment and various other supplies. 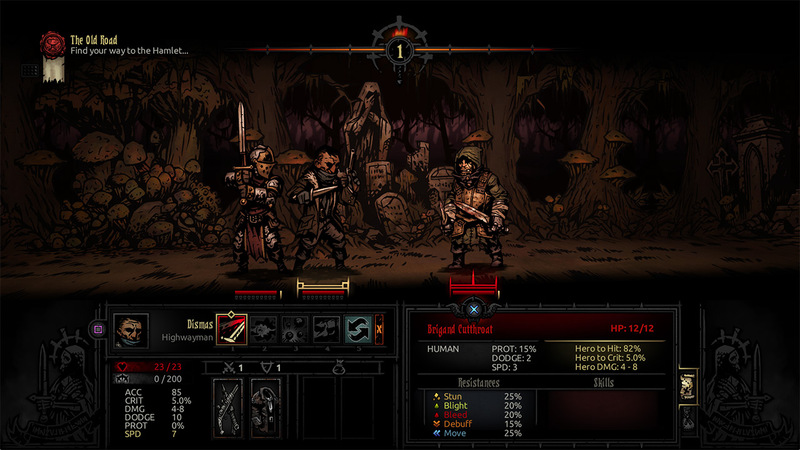 The player could recruit twenty-five heroes to send to the dungeon at any time and each hero belongs to one of the fifteen-character class and have their own unique skills which can be upgraded during the game.